Most leading hospitals are struggling to make profits. At the same time, new formats, specialties and technology assisted ventures are coming up with a promise of transforming the sector. A week ago, when the Fortis Healthcare board approved the Rs 4,000 crore bid from Malaysia's IHH Healthcare, share prices of most listed hospital companies fell sharply. An investment of this scale, usually a sign of a booming sector, in this case exposed the multiple crises it is facing. The reason was simple. While a few hospital chains such as Apollo are growing revenues year after year, most are bleeding. Profits are meagre, return on capital is low and debt is ballooning for most homegrown chains. Fortis, itself, was facing an acute liquidity crunch, amid allegations of siphoning funds. Then there are cost control measures by Central and various state governments. However, there is a bright side too. A lot of experimentation is happening in allied specialties and new formats such as day care surgical centres, dialysis chains, single specialties and next generation technology-assisted healthcare solutions that can scale up and reduce costs. "There are some fundamental issues in cost, efficiency and supply chain management of most of these hospitals. Mainly, they failed to devise region-specific cost and efficiency structure for each of their facilities," says Muralidharan Nair, Leader, Healthcare Services, EY India. For instance, some hospitals offer specialist doctors in even Tier-II and Tier-III cities expensive cars and big houses, in spite of the fact that the revenue per patient in these cities is far lower than in the big metros. In fact, some invested as much as Rs50-60 lakh per bed in hospitals in smaller cities - the same as in a big city - in a scenario where a hospital breaks even after seven-eight years and that too if run at optimum capacity. Fundamental parameters such as average revenue per bed and return on capital went for a toss. Consolidation, say experts, seems the only way out. Sensing the opportunity, cash-rich global chains are making a foray into the Indian market. Before looking at Fortis, Malaysia's IHH Healthcare had acquired a majority stake in Global Hospitals for Rs1,284 crore and Continental Hospitals for Rs282 crore, in 2015. 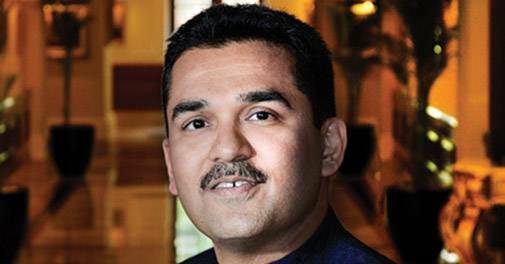 Similarly, in the last couple of years, the Dr. Shamsheer Vayalil-promoted VPS Healthcare, one of the largest healthcare groups in the Middle East, has acquired Rockland Hospitals in Delhi and Lakeshore in Kochi. "We are looking at an investment of Rs1,000 crore in India. The potential in India is huge," Dr. Vayalil said in a recent interaction. Other Middle East chains consolidating in India include Dr. Azad Moopen's Aster DM Healthcare and Dr. B.R. Shetty's NMC Healthcare. "It is good to see action in the healthcare space with even the government coming up with massive insurance schemes. That is going to have a ripple effect on sales of pharmaceutical companies," says Yogesh Agrawal, Managing Director of Ajanta Pharma. One big challenge, apart from the proposed cap on fees, is shortage of doctors/paramedics and rising costs. "Kerala has brought in legislation to ensure minimum wages for nurses and paramedics. Now, states like Delhi are thinking about ways to control overall operational costs," says E&Y's Nair. Experts warn that excessive controls will make investors withdraw from the space. That is why leaders such as Apollo are trying to re-invent themselves to face the impending challenges. Instead of adding beds and hospitals, it is trying to get the most out of its existing 10,000-plus beds. It sees technologies like artificial intelligence (AI), robotics and minimally invasive surgeries as the future. "We will focus on reinforcing our clinical differentiation in specialties like cardiac sciences, orthopedics, transplants, neurosciences and oncology and increase digital connect for both patients and doctors to extend reach and amplify productivity," Dr. Prathap C. Reddy, Chairman, Apollo Hospitals, had said in an earlier interview to BT. While hospitals are facing the challenge of how to expand, technology-assisted new ventures are making their mark. Take the case of Rakesh Gupta (name changed), a small-time businessman in Bareilly, Uttar Pradesh, who met with an accident and fractured his leg a couple of months ago. The procedure, done by local doctors, went wrong and led to complications. Doctors advised him to rush to a big hospital in Delhi, four-five hours away. Help came from Tattvan E-Clinic in Bareilly, started just a day before. Tattvan set up consultation with an orthopaedic surgeon at Artemis Hospital in Gurgaon, used a telemedicine kit and video-conferencing for consultation and made arrangements for travel, operation and stay in Delhi. Now, Gupta is recovering in Bareilly. Tattvan is India's first organised telemedicine clinic network launched in Bareilly on June 26. A total of 58 patients, including two who have been advised liver and kidney transplant, have used its telemedicine services, saving money and the hassle of going all the way to Delhi for better treatment. "The response has been good. We are planning to start 15 centres within the next 18 months. The next ones will be at Guwahati, Dehradun, Moradabad and Haldwani," says Ayush Mishra, Co-Founder, Tattvan. In February, Kolkata-based primary healthcare focused Glocal Hospitals teamed up with a group of Indian doctors in the UK, Agile Healthcare & Rehabilitation Services Pvt Ltd, to set up 500 digital healthcare centres in Bengal, Bihar, Uttar Pradesh and Madhya Pradesh. Glocal already runs 124 such dispensaries in Rajasthan, Odisha, Chhattisgarh, West Bengal and Manipur. Even ambulance services are becoming organised. GVK's EMRI claims to be the largest single operator in the world with more than 12,000 ambulances. BVG India operates around 1,000 ambulances in Maharashtra alone. Ziqitza Healthcare, which operates 3,000 ambulances in 18 states, earned a revenue of Rs320 crore in 2017/18 and is projecting Rs400 crore in the current financial year. "India has only one ambulance per one lakh people. The target should be one for every 60,000 people. 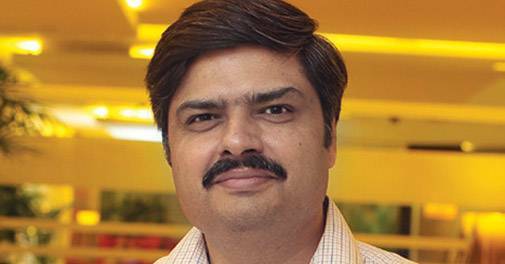 The opportunities are huge," says Manish Sacheti, CFO, Ziqitza Healthcare. Investors sense this. Ziqitza Healthcare investors include Acumen Fund, HDFC, IDFC and India Value Fund. Specialised geriatric care, palliative care, gene mapping and dialysis are some other areas attracting investors. In Mumbai, Prashant Warier and Pooja Rao, Co-founders of healthcare start-up Qure.ai, are selling their cutting-edge AI-powered learning technology to help radiologists accurately read and interpret data. Abhishek Shah, founder of Wellthy Therapeutics, is selling his AI-powered digital diabetes management system; it is being touted as India's only 'prescription digital therapeutics' company. Similar innovations and practical technology assisted interventions at ground level are slowly transforming healthcare delivery models in India, especially in the rural sector. Even big companies are joining the mission. Recently, Tata Trusts and the Odisha government teamed up to spend over Rs1,000 crore to set up cancer care centres. 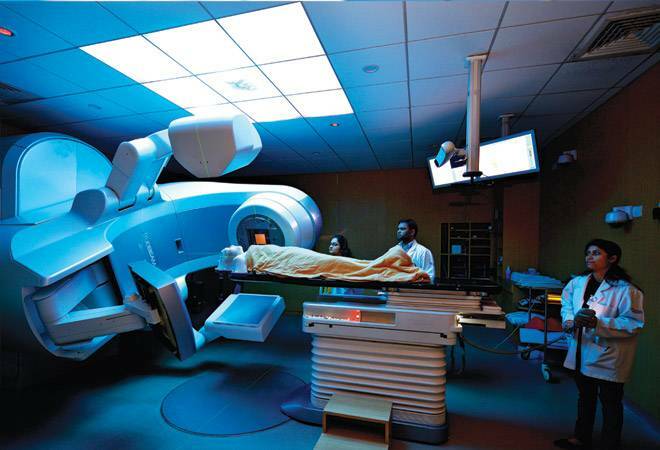 L&T Chairman A.M. Naik's Nirali Foundation and Tata Trusts are also setting up a cancer hospital in Navsari, Gujarat. In March, Ajay Piramal-promoted Piramal Foundation teamed up with Niti Aayog to transform public systems in health, nutrition and education sectors in 115 'aspirational' backward districts. "We spend much more on health and education than what is mandatory for a company to spend under corporate social responsibility," Piramal said.